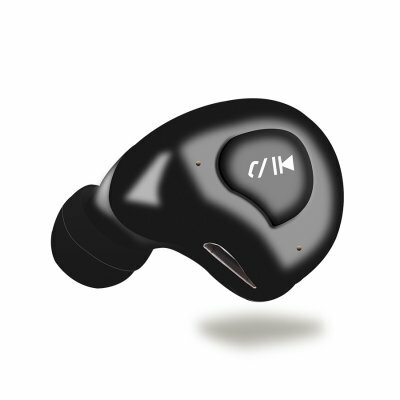 Successfully Added Bluetooth Mini-01 Black Wireless Earphones-Built-in Mic,Stereo Earbud Smart Noise Reduction ,Support iOS and Android phone to your Shopping Cart. Superb Sound Quality headset with Bluetooth V4.1+CSR for best stereo sound and superb bass sound.Clear high & low volume. Best wireless earbuds sound. With the built-in mic you can easily take calls. Larger Bluetooth range make the Mini headphones extraordinary, Up to 10M Bluetooth range in the open space,Plugging your phone in to listen to music is unnecessary. You can share it with people around you. Built in 50 mAh Lithium Polymer battery, Make you enjoy music or watching TV&films for a longer time,Specially designed a dual micro head cable and Mini Portable Bag Make sure more convenient to carry&charging when you mountaineering, hiking, biking or other outdoor sports. Soft material to protect ears, make your phone call and music time more comfortable.Sweatproof Construction is Perfect for Sports, Running, Jogging & Gym Exercise, Watching TV, or Sleep. These wireless earphones come with a 12 months warranty, brought to you by the leader in electronic devices as well as wholesale Bluetooth headphones..